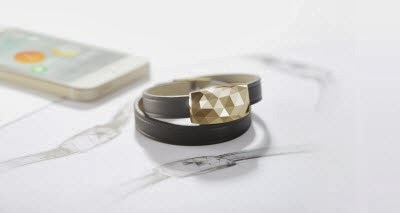 June is the jewel connected submitted by the French Netatmo: on your wrist, it measures sunlight exposure and advise you when it is time to protect yourself. President and founder of Netatmo Fred Potter said: "Our goal is to create objects that measure the environment so that everyone can better understand, act accordingly and improve their daily lives. June is part of this process. We are proud to unveil the first jewel connected to better protect themselves from the sun every day, "
French start-up took advantage of CES in Las Vegas to introduce its jewel. Its purpose? Protect you when you are exposed to the sun, while providing advice via the application that runs in parallel on smartphone / tablet. Because June measure "your sun exposure at every moment, and the amount of sunlight received by your skin during the day." So you are warned when appropriate from UV protection to prevent sunburn and thus "premature skin aging." For this, the application adapts to your skin type and sunlight it receives every day. It also suggests the index cream suitable for UV moment when you get your breath hat, glasses, or seek shade.. Already rewarded at CES 2012 for its connected thermostat, Netatmo is once again at CES Innovations Design and Engineering Awards 2014 competition in categories Wearable Technologies and Tech for a better World. The information to be confirmed but will be available in June during the second quarter of 2014 in 3 colors (platinum, gold or gunmetal) for less than 136 dollars. We also expect more details on the technical characteristics of the bracelet.